Some massive quartz crystals are also mined in Arkansas. Some of them are absolutely massive and worth a considerable amount of money. Diamond was first discovered in Arkansas in 1906 by John Huddlestone in what was then referred to as the diamond pipe. Following the discovery, there were several attempts to commercially mine the diamond but not much profits were made. Eventually, the site of the operations was turned into the now famous Crater of Diamonds State Park, a public recreational facility. Crater of Diamonds State Park lets you hunt for real diamonds. For a small fee, you are allowed to search for diamond anywhere on the 37 ½ acre site of the diamond-bearing volcanic crater. The diamond you find at the park are yours to keep, but you have to report to park management so that proper records of diamond discovery in the park can be kept. Diamonds are found in all the rainbow colors but the Crater of Diamonds State Park only has three; brown, yellow and white. If you have never mined diamond, the staff at the park will offer you free training on how to find and identify diamonds. When you visit the park make sure that you stop at the Diamond Discovery Centre to learn about searching for diamond and the diamond available at the park. There are lots of exhibitions and video program to equip you with the right knowledge for mining diamond. You can also rent mining tools at the center. Other than diamond you will learn about other gemstones such as garnet, agate, amethyst, and quartz among others that you can collect at the park. Crater of Diamonds State Park is a full recreation site and has lots of other amenities for your needs. The park as 47 campsites, walk-in tent sites, picnic sites, a gift shop, a play pool, an enclosed pavilion, free Wi-Fi and a restaurant among other facilities to ensure that you have a great time at the site. High-quality quartz crystals are found in several locations in Arkansas. No wonder the state is referred to as the quartz capital of the world. Some of the most important deposits are found in Fisher Mountain, Jessieville, Mount Ida and Hot Springs. There are a number of mining operations in the state that produce quartz crystal specimens used in jewelry and making decorative items among other things. Quartz crystals have been mined in Arkansas for thousands of years. Archeological discoveries show that the native people who lived in the region that is now Arkansas used to make arrowheads, knives and other household tools using quartz. A perfect example is the Plum Bayou people who lived in the Arkansas River Valley around 1000 AD and built the Toltec Mounts using simple tools made out of clear quartz. 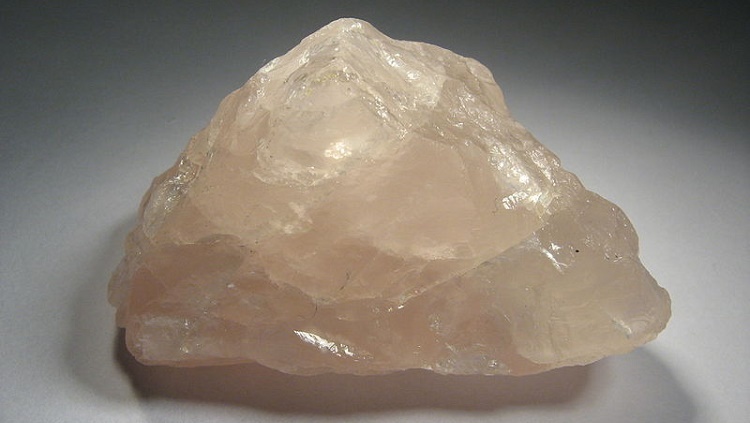 In 1541 Hernando de Soto, a Spanish explorer was the first to encounter local Indians making arrowhead from quartz. Henry Rowe Schoolcraft was perhaps one of the earliest naturalists to write about the presence of quartz in Arkansas Territory in 1819. Quartz crystals are found in Montgomery, Hot Spring, Pulaski, Perry, Pike, Yell, Garland, Pope, Saline, and Sevier counties of Arkansas. The first modern quartz mining was started in 1930 by Ocus Stanley in Mount Ida. During the Second World War, there was a spike in demand for Arkansas quartz to be used in making radio oscillators for military use. This led to the establishment of several mining operations such as the Old Coleman Mine in Garland County and the Willis Quartz mine in Saline County. Following the end of the war, there was a drop in demand for quartz although a number of electronic companies keep the demand high as they used the quartz to produce synthetic crystals. Today, quartz mining in the state is done on small scale in open pit mines. It is estimated that there are about 20 quartz mine still in operation within the state. There are also several mines still open to the public. These give you an opportunity to mine your own quartz. One of the places that you can hunt for your own quartz is the Ouachita National Forest where you can mine real quartz provided you have permission from the local Forest Service.